Hair is important in several places on the body, but in many places it is often considered unnecessary. This is a more common thought in women, because they prefer to see their arms, legs and underarms, smooth and hairless. 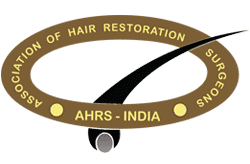 There are several methods of hair removal and even though shaving is the easiest and most common one, there are other methods that are coming to the forefront of late. 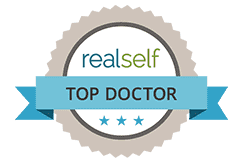 While many people think that laser hair removal is a recent development, the fact of the matter is that the procedure has been around for a really long time. It was in the 1960s that lasers started capturing the attention of not only scientists, but also the general people. It was around the same time that lasers started enticing people from the hair removal industry, because they saw an opportunity. They realized that lasers could effectively remove hair and that too for a long time. The very first lasers that were used in the 1960s were ones that emitted a wave that was constant and continuous. This, however, was not suitable for the purpose of hair removal, mainly because there were greater chances of the skin getting damaged. Since the wave was continuous, it was very difficult to control it properly, which is why there would be hair loss, but also skin damage. It was towards the end of the decade that the Q-switch was invented, and this allowed for a better control of the pulses. The earliest of laser related devices were designed to target individual follicles of hair and this was done by delivering the laser’s energy via a probe. This probe was of a fibre optic nature and was created using a thin wire. The only problem that happened with this method was that the device was brought into the markets, without it being tested properly. The device was sold across the globe as being painless and truly effective, however, when the FDA stepped in, the product was taken back. The main setbacks of these devices were that they were actually very difficult to use and the probes were hard to maintain. In addition, the hair removal was not permanent, which effectively defeated the purpose. 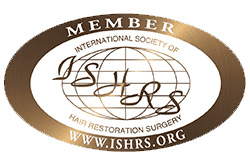 The initial data that was published on hair removal using lasers was based around the successful treatment of ingrown eyelashes. It was these studies that lead to greater and more in-depth research in creating a device that could be sold commercially for hair removal. Yet again, the device that was created was not tested sufficiently, which is why it had to be pulled back. This device too was not effective enough and was not only difficult to use but also ineffective. However, this paved the way for further research and testing, which led to the creation of laser enabled machines, which were used for a range of dermatological procedures, including removal of tattoos. It was in the year 1997, almost after an entire century of the discovery of x-rays, that the FDA first allowed the release of a laser device for hair removal, in the markets. This device used a lotion that was carbon based as the chromophore. The lotion would be first applied all over the skin and then the skin would be waxed. The idea was that the lotion would penetrate the hair follicles and when the laser heated the carbon, the shockwave created would remove hair permanently. However, the device was not successful, because not only was it difficult to use, but also did not affect the naturally affecting chromophores in the body. The device had been sold to several cosmetic clinics and affluent people were willingly becoming guinea pigs. However, by the time the inefficacy of the product was noticed, people had started noticing a regrowth of hair. So, the companies behind these devices, quickly relabelled the device from one being the answer to permanent hair removal to one that could assist in managing unwanted hair. But people saw through the marketing strategies and within no time, the device had to be pulled back from the stores. 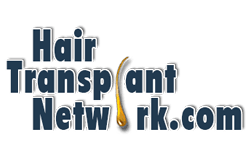 In the late 1990s, FDA started clearing a range of devices, which could be used to target the naturally occurring melanin in the hair. These devices were better designed and could be used quite easily at home too. In addition, these devices were such that produced minimal side effects. Even today, studies are being conducted in this field and newer devices are being introduced every other week. There are still debates how effective each product is and while there are some which are working well, there are others which are proving totally ineffective. 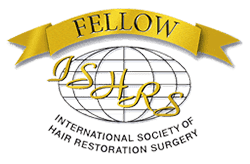 Ideally, if you are looking to reduce your hair permanently, or at least for a long period of time, it is best that you head to a reputed clinic. When you get the treatment done in a professional manner, you can be assured of lesser side effects and definitely lesser chances of anything going wrong. While complete and permanent hair removal is still a few years away, there has been progress and the future does seem bright!